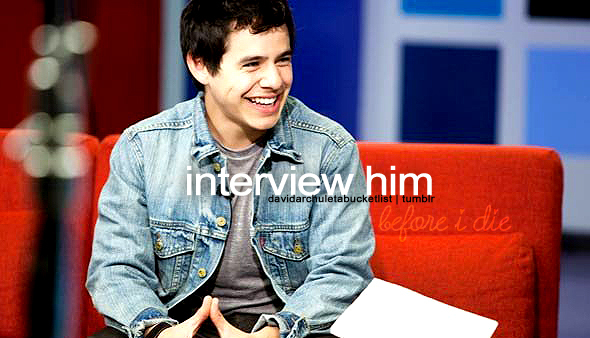 Make a @DavidArchie bucket list, check it twice…. 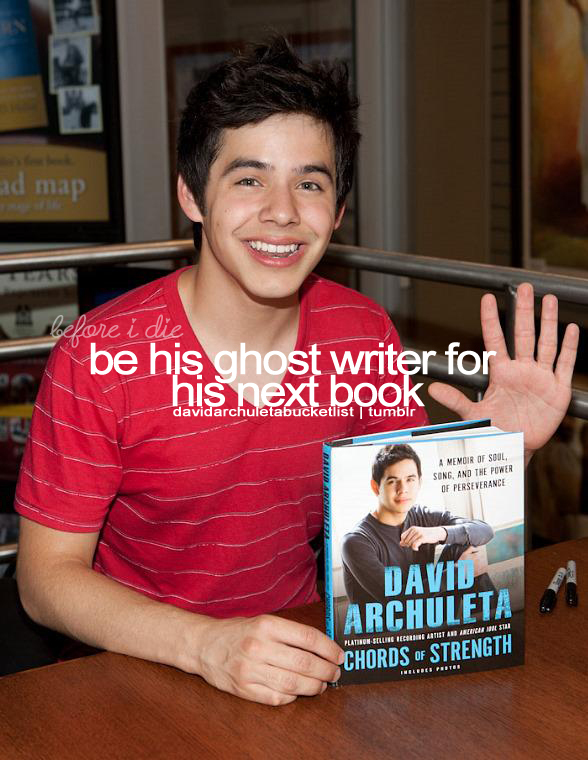 I love the “David Archuleta bucketlist” Tumblr … if you’re on Tumblr, you can send in what’s on your David bucketlist and it will be posted. Def. check it out! Would give my left kidney…. …heck, throw in my right…. I sincerely wish this for every single solitary fan out there…. I don’t have this on my list… but do love this scene for some strange reason…. Hmmm, we do have awesome maple syrup here…. Guess his songs help us a little with this one…. D. showing us around his city (even in a vlog or something) would be pretty cool…..
How about you guys … are any of these on your list? Any you’d add?? 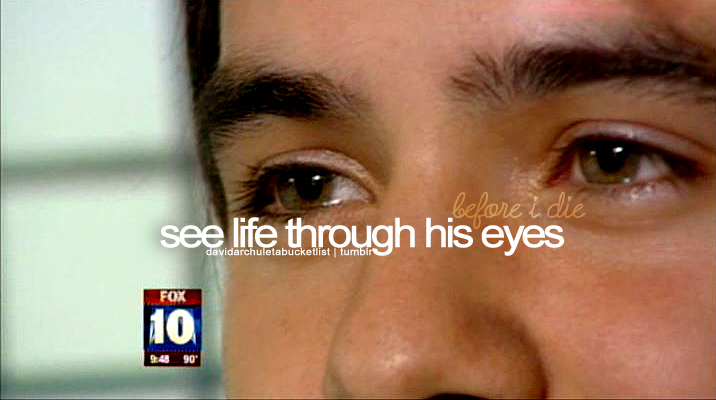 This entry was posted in Utter nonsense and tagged David Archuleta, les listes du bucket. Bookmark the permalink. 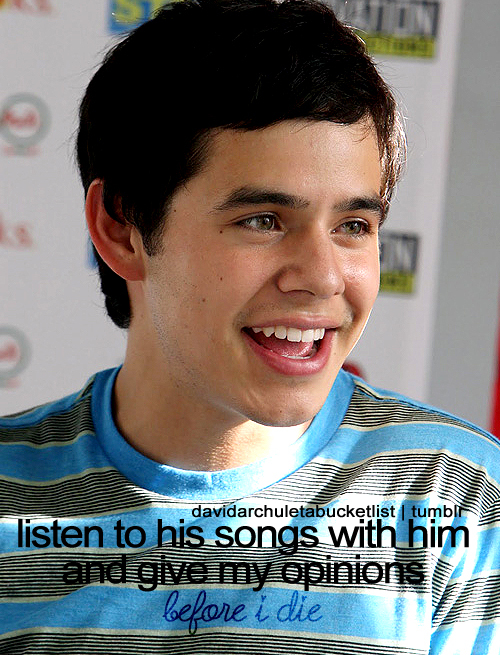 19 Responses to Make a @DavidArchie bucket list, check it twice…. 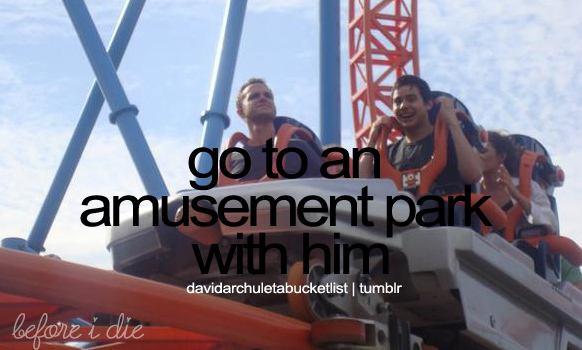 #9 This is a great one, something I could never imagine doing. I would like to spend time with David on a nice long airplane trip. Sit next to him but not be a pest. Say from L.A. to Singapore. 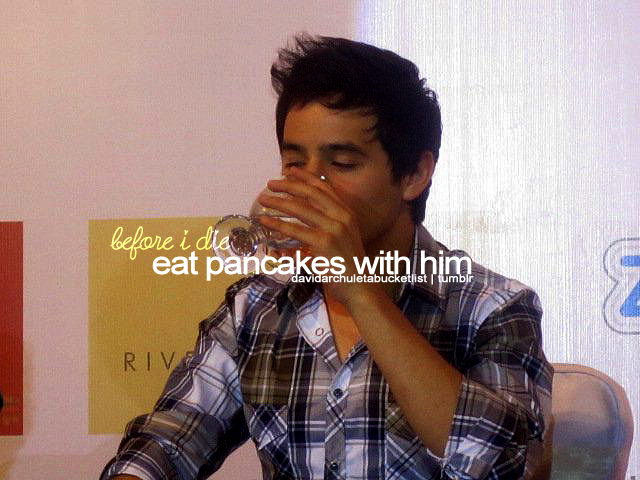 I would also like to cook for him. Cheese enchiladas or beef stroganoff. 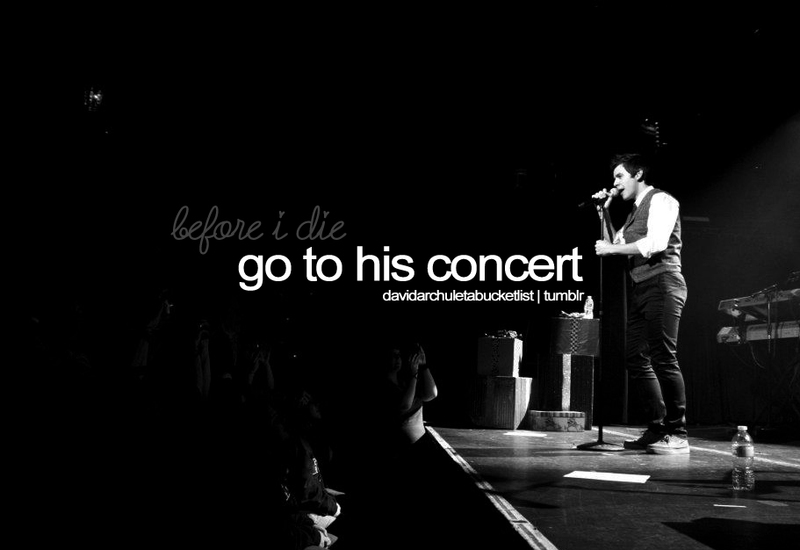 I want to attend his homecoming concert no matter where it is. It its so much fun traveling with my Archie buds. Kinda feels like high school again! 1) I would love to have a private visit with David (far from the madding crowd). I don’t mean an interview, but a simple chat, a tete-a-tete. I would supply the swivel chair. 2) I really need to thank David for what his talent and music and example have meant to me, and be able to do it face to face without sounding like a goon. 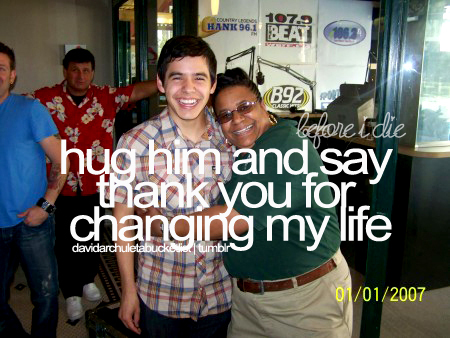 1) to drive around in a chauffeur driven limo with David and as many Archies that would fit, singing along to all of his favorite songs, windows down and volume cranked up! that would be a blast! 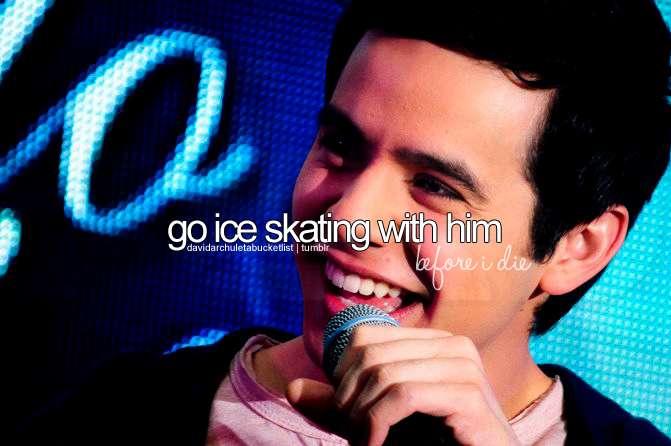 2) hearing him sing Your Song and on dual pianos with Elton. Soooo many of these are on my list! Hahaha actually! 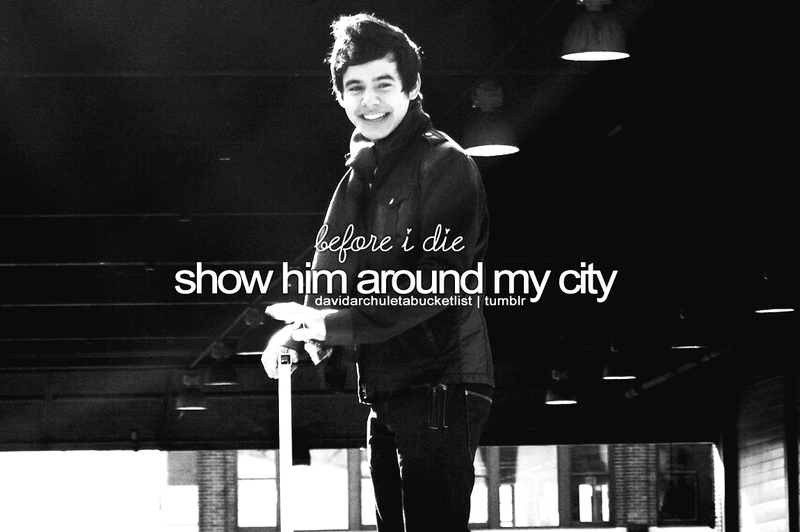 #1) See him live on tour in Canada. 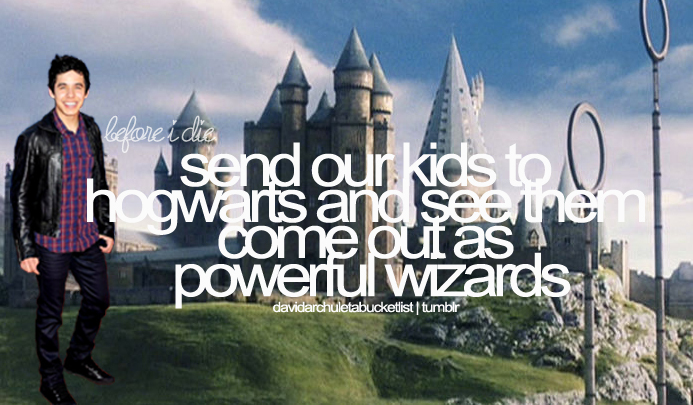 #3) Send our kids to Hogwarts and see them come out powerful wizards. Umm yes!! 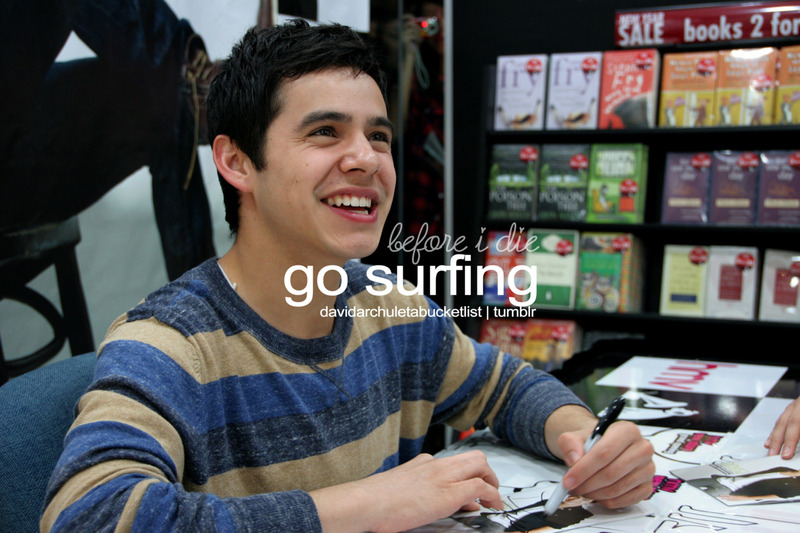 #11) Go surfing. ACTUALLY. THIS WOULD BE THE BEST THING EVER. Surfing by myself is on my regular bucket list. Add in a little David and it is out-of-this-world amazing. 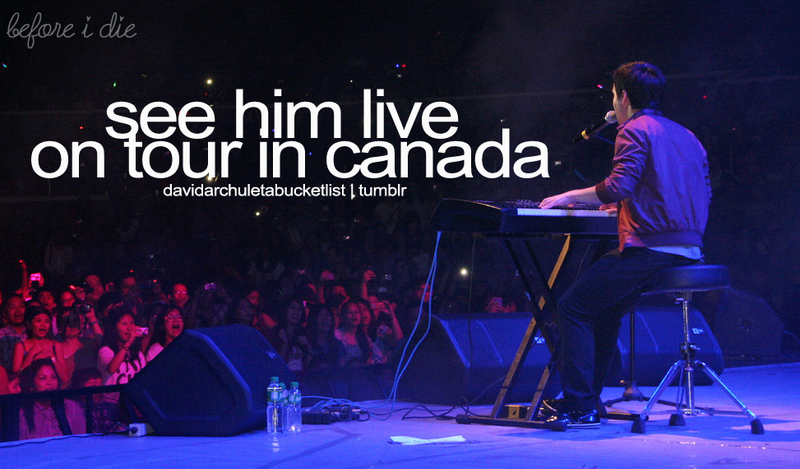 “See him live on tour in Canada”…most definitely! Always on my DA bucket list. These are all great and like what others have shared. Archugeezer, if you made sure that swivel chair had arms that held snacks and a drink for David, he just might accept your offer! abanana, glad that didn’t happen to you, not a memory you would want, haha. TOfan, I have always had that on my bucket list too….that every fan will get the chance to see him perform live, wherever they may be in the world. If David had his way, he would take care of it. One thing on my list (especially ever since I heard David express the desire for this) would be for him to sing a duet with the great Tony Bennett. Don’t know if that will ever happen but I would so love to see that! Well, David has fulfilled many wishes on my list, always wanted to hear him cover many of the songs that are on this album and now it’s a reality, pretty wonderful. Here is one of my fave itunes reviews. Even though this is google translated from Spanish, still worth reading HERE. Reblogged this on Sound of Stride.